Well, we are on day three (the last day) of our May sneak peek birthday celebration from REVERSE CONFETTI, and today will be no different in sharing some more great new products available tomorrow. Does anyone have a favorite set picked out? If you don't by now, you will after seeing what's in store today. 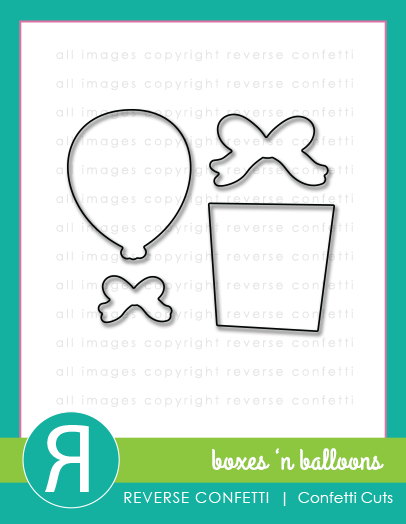 Our featured products for today are the last stamp and matching die set, BOXES 'N BALLOONS and BOXES 'N BALLOONS Confetti Cuts. I was so excited about this set, this was the first thing I made with the new release stuff! This stamp set is sure to be another favorite of mine, as it can be used for more than just birthdays. Another cool thing about it is that the BOXES 'N BALLOONS dies can be used by themselves and look great cut out of patterned paper. 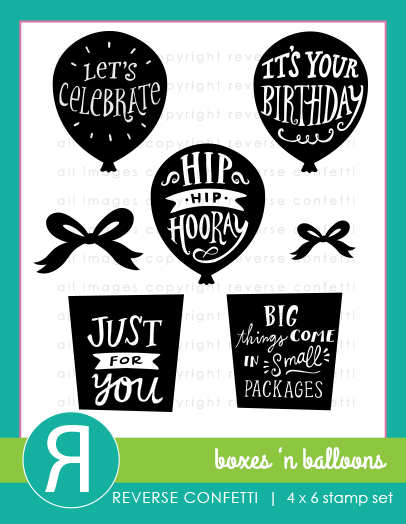 On my card, I used the present and a balloon and then the other sentiment is from the new CELEBRATIONS stamp set. See? I told y'all I can't put that one down! Ok, that's about all for me for now--Just so y'all know...everything will be available on the 8th--that's tomorrow! We'll wrap up with a blog hop that day as well that y'all won't want to miss. YAY! 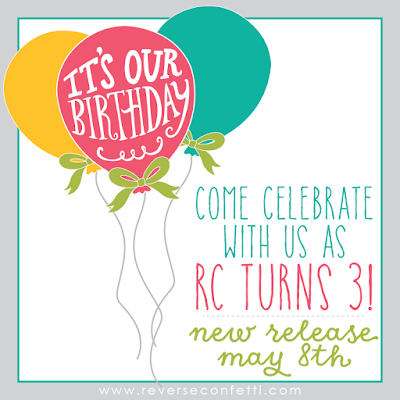 Meanwhile, don't forget that Jen has a link list for all the sneak peek days (May 5-7) over on the REVERSE CONFETTI blog HERE. Wow! Love all the elements you used! I love your colorful card. It all goes together so wonderfully! WOW - love the bright fun colors you used - super festive! WOW love your festive card!! Love the colors you used!! Your cards are amazing!! Wow!!! Such amazing release!!!! Beautiful card!!! A happy, fun card! The May release is so fun! Enjoy Scrapbook Day, Susan. I love all of the colors. It's as if the party started with the card! Love all of the details. Wow, Susan, your colorful card was more of a wake-up than my coffee! Fun design. Love all of the detail in your card! This is like a party on a card, Susan, wonderful! 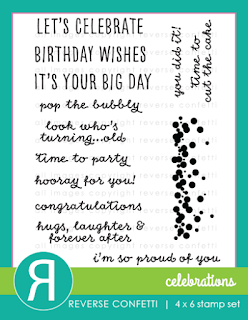 Fun card, bright bold colors. Just great. Wow ... you win for the most colorful, beautifully layered design! Great job, Susan. What a fun card! I love all of the layers. Love all of the layers and details of your card! Nice work, and nice products! Thank you! Bright and beautiful.... this is one amazing b'day card! I love that this card is not simple. Lots of color - makes your eyes stick to it. Beautiful! Love the layers of your card. Great card. Love all the elements you put together. WOW! Susan, this is amazing! Another big hit! Very festive and fun card with bold colors! Love it! 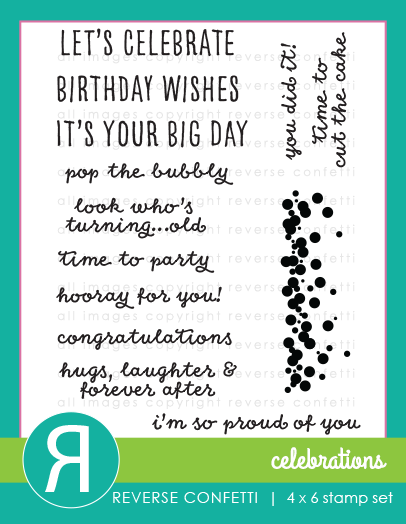 So much fun going on with your card, Susan! Great new set! Great job! I love all the juicy colors, and you can layer like nobody else! A2 sized fun, fun, fun. Terrific layering.